In a recent post we introduced The Tartari Family. We wanted to update you and share the rest of their interview about the new church plant in Azzano Decimo named, La Quercia. The church began in May and their first members are pictured here in front of their new location. Serenissima Ministries: Why the name "La Quercia"? Tartari Family: La Quercia means "the oak tree" in Italian. Azzano Decimo has an oak tree that is about 200 years old. We love the symbolism of this huge tree, a wonderful creation of our amazing God, a picture of strength, eternity, home to many, and becoming what we can read in Isaiah 61:1-4, "...oaks of justice..."
SM: Tell us something unique about "La Quercia", what makes it special? 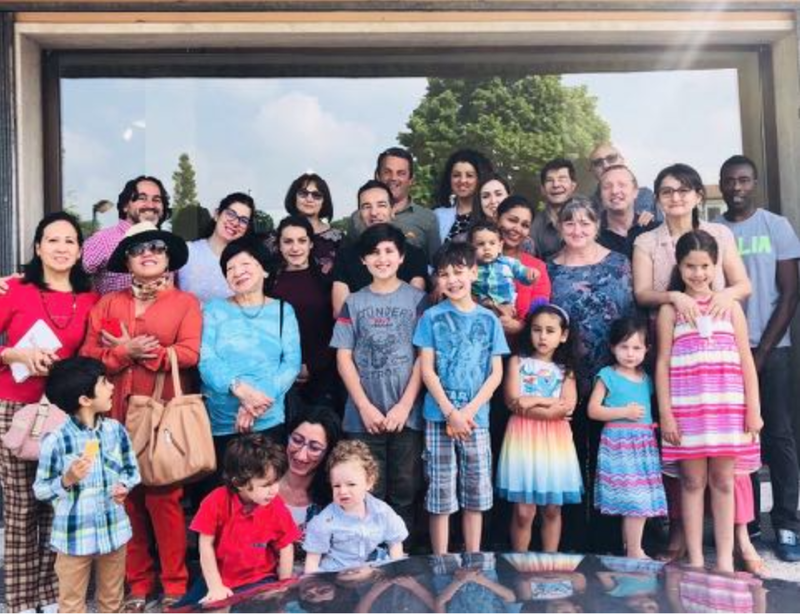 Tartari Family: Our church is a melting pot of people transformed by the Gospel (Romanians, Filipinos, Peruvians, Americans, and Italians from different parts of Italy. Our diversity allows many other cultures to feel welcomed and feel at home. In a time where there is division among cultures, the Gospel is counter-cultural. So, the Quercia is giving shade and rest to many different people. SM: How does La Quercia plan to impact the city? Tartari Family: By having a prayer group for the town and purposely getting to know and pray for the people we are in contact with everyday (neighbors, baker, teachers, sport coaches, parents of the children our children go to school with...) Participating in our town's life, such as language lessons, being involved in the school as class presidents, attending local events as a formal group/association. On Sunday, having clear and simple preaching that is accessible to every level of visitor and guest. We will gently touch on sensible topics of the local culture to reveal the point of view of the Gospel and provoking personal awareness of the level of commitment to Christ in daily life. We also will be networking with other local Christian churches to facilitate the understanding of the broader view of God's church in the world and avoid separation and isolation of the communities. SM: What are some prayer requests for La Quercia? Tartari Family: Wisdom for the core team, love and unity. For godly vision and message for the 1st formal out-reach during the 2018 Christmas season. We need 50 chairs and due to our one open spaced lay-out we need a couple of ply-wood acoustic insulated separation walls to allow Sunday school to operate during the winter time.